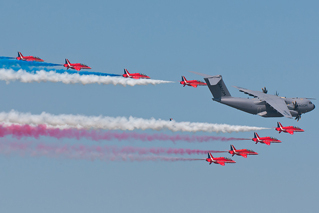 The Royal International Air Tattoo 2014 marked the retirement of Tim Prince, Chief Executive Officer of the RAF Charitable Trust Enterprises; a legend of the UK airshow industry. Stepping into the great void, Andy Armstrong took over as the new CEO of the RAFCTE soon after the 2014 show closed its doors. With such big boots to fill many enthusiasts are a mixture of eager and anxious to see what is in store for RIAT 2015 and the direction that the new blood will take their annual pilgrimage over the next few years. 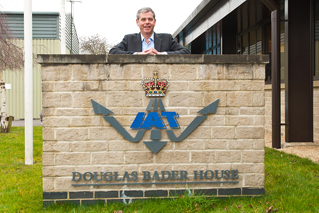 In a UKAR exclusive, Andy Armstrong and Tom Gibbons bravely stepped into the firing line to answer a barrage of questions from Andy Evans and Tim Croton when they recently paid a visit to Douglas Bader House. Photography from Andy, Tim and the archives of the UKAR Team. When the announcement was made that Andy Armstrong would be taking over as RAFCTE CEO early last year many were intrigued about his aviation credentials and whether he had been recruited purely for his commercial experience. Before getting down to the "nitty-gritty" of RIAT and being CEO much could be learnt about Andy from his own aviation experience, especially with two key questions; what is his all-time favourite aircraft, and all-time favourite display team? "Harrier. I'm the youngest of three and I remember my father taking me to an Army display as my middle brother wanted to join the Army, it was a mock battle. Towards the end the goodies were winning and it came over the tannoy that the Harrier had just left the Paris airshow, I was probably 6 years old and it was one of my very earliest memories, it came to give a brief display then flew off. "My father was in the RAF in the war and looked after the radar on Lancasters, there was lots of conversation about aircraft in my youth and I have a personal interest in that area but to see the look on my father's face to see a jet propelled aircraft stop and turn to the crowd, nod then fly off was frankly a memory I will not forget for a long time. So Harrier it is. RIAT has always been considered a modern military airshow, so which are better warbirds or fast jets? You may think that leading a major airshow would benefit from experience gained by attending airshows both past and in the future, therefore prior to joining the RAFCTE, how many RIAT's had Andy previously attended? 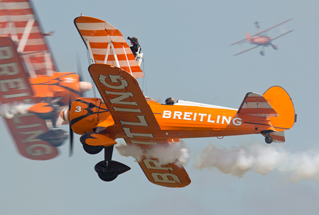 So, how many airshows have you attended? As you hadn't attended a RIAT in the past, were you aware of RIAT and the RAFCTE before the job opportunity was advertised? With Andy's limited experience of RIAT it was perhaps unfair to ask him what he thought were the stand out moments and participants of the shows history, but we asked anyway! "The Sukhoi Su-22 pair were my favourite participant, I think they were outstanding as was their commitment to us over the weekend. But also the sheer noise and spectacle of their display. Andy's personal views aside, many enthusiasts wondered what attracted him to the job of CEO at the RAFCTE, was it an aviation decision or was it just for the money? "The job was advertised in the Sunday Times on 13th January last year and my wife saw the advert and said she “I have found your perfect job”. Why? She knew I was interested through my father flying in Lancasters, after which he became a vicar and was Corps Chaplain to the Air Training Corps. I was a Cadet and was lucky enough to get an RAF flying scholarship which meant I got 30 of the 35 hours I needed to get my PPL, my father paid the extra 5 so I got my PPL which sits proudly on my desk. "I then went off to University and was a member of the University Air Squadron in Glasgow for 2 years before going on to Biggin Hill for Officer Aircrew Selection. Where they spotted I needed these [glasses] before I knew and that was it. I am probably one of the hundreds of thousands that missed out which was a shame but I therefore chose a commercial career which I have enjoyed and been successful in but, I have always been interested in the whole area of aviation and this was an opportunity of doing a job that I enjoy but is also a way of giving back. "Ultimately I work for a charity and that charity does a number of different things, but unlike other RAF Charities we are about promotion of aviation for youth. Among other things we fund flying scholarships and that for me personally goes full circle to why I applied for this job. Attending RIAT for the first time ever must have been a baptism of fire but does Andy enjoy the challenge that this new role has brought? 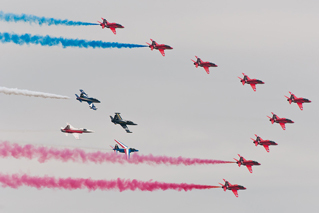 After heading up the world's greatest airshow for the past few months, what does it mean to head up the organisational team? "I told you earlier that my father was a vicar and I therefore understand the difference between a job and a vocation. I applied for a job and ended up with a vocation! I love every minute of it, it is hugely challenging but we as a team put on the world's greatest military airshow. The enthusiasm and professionalism of the team is outstanding. The definition of an extrovert is getting your energy from other people. Just working alongside the volunteers at the show was quite an extraordinary experience in 2014 because I had all of the fun and none of the responsibility as it was Tim's last show. I took the time out to walk the showground and get the feel for as much was going on as I could. A week later I got in the car and drove up to Scotland for The Scottish National Airshow at East Fortune, got there late but there was the team ready for the show next day and two thirds of the table were people from RIAT. That is when I realised what volunteering actually was, there were people giving up their time, time and time again for others. Yes they enjoy what they do but they are helping us as a charity do good work for others as well. In order to get inspiration for RIAT have you attended other large military airshows around Europe, such as Air 14 or Kleine-Brogel? Key to satisfying the concerns that some enthusiasts had regarding the change of CEO at the RAFCTE was that anyone taking the post should have a passion for military aviation in order to maintain the high standards we all know. Did Andy agree? "You've got to be passionate about aviation to do this.. When you are describing or hearing other people describe a particular manoeuvre either from a pilot's perspective or perhaps describing what we have planned for this year, I defy you to not have the hairs on the back of your neck stand up. RIAT 2014 was Andy's first experience of the event, and as a fresh pair of eyes his views on aspects that the enthusiast found good and bad are invaluable. These views give us a good insight into how the show will evolve under his leadership and what we might expect in the future. Starting on a high and almost inevitably based on his previous answers, his highlights from 2014 appeared to echo many enthusiasts. This was an ideal opportunity to probe further over the interesting saga of the Japanese participation announcement last year, Tom was only too happy to oblige. In a similar vein, discussion then turned to last year's themes, and in particular why it appeared the Hawk anniversary theme was treated as an afterthought. For the 2014 show, enthusiasts were required to buy a Pit-Day ticket even if they only wanted to visit the Park and View enclosures. Many felt this was unfair and represented poor value for money, what did Andy think of this? Perhaps the two most controversial and, to many, disappointing aspects of RIAT 2014 was the absence of the Vulcan and the tragedy which was the cancellation of the F-35, albeit that was beyond RIAT's control. Did Andy believe the non-attendance of the Vulcan damaged sales? "We had a good year, it did impact us emotionally. I'm glad you raised this so we could clarify it. "The truth is we invite the international air forces from around the world for them to come and display their aeroplanes and they do that for free. We enjoy their presence and are very grateful for their effort, last year we were full up. You teach your children you stick to your first invitation, you can't say thanks for coming and bringing your team, I'm sorry you can't fly. That would be difficult, we were full. What were his views on the F-35 tragedy? 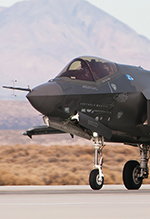 Has Lockheed Martin given Andy any undertaking to make good on last year's appearance? "Tragedy is an interesting word, it certainly was disappointing. I'm absolutely certain that world leading engineers were trying to make it happen. For all the right reasons the aircraft didn't come. The right decision was taken at the time and yes it was very disappointing. "I can confirm that the request has been made and we remain optimistic but there are a lot of things that need to be put into place and we recognise it is a very tight program. I'm certain if it can come it will be here but I cannot confirm it at this point. Another disappointing aspect of RIAT 2014 was the early and unexpected departure of the Super Hornet during the Sunday of the show, signalling the cancellation of its display that day. Indeed, the display we saw on the Saturday did not appear to be as dynamic as in previous years. Many wondered why such a major act departed early; Tom was able to clarify for us. 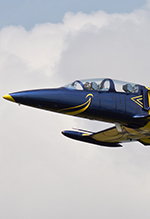 "A difficult question, yes I was disappointed looking back at past displays by the likes of Ricardo but that would be unfair on the display pilot last year to draw that comparison. There was a request from Boeing that he didn't display on the Sunday because they had two display pilots but one unfortunately had to return to the USA for a family matter. We honoured that request. Of course, whilst the flying display at RIAT 2014 was strong there were many comments the static was lacking, does Andy still believe that the static line-up is important to RIAT? "It's essential, it is an airshow, it has been, is and will continue to be an airshow. 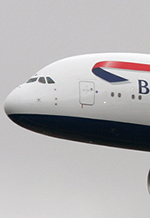 We want great theatre in the sky and that will remain our focus but, we also need a great static line-up. There are great pressures on the world's air forces including present day operational pressures. 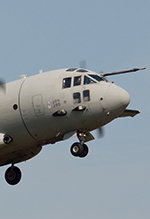 For example we would have loved to have accommodated many more of the RAF's transport aircraft last year but they were all busy bringing equipment and troops back home from Afghanistan. That's always going to be a challenge and the static is very important to us. 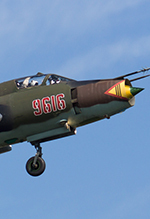 We were very conscious we had three Su-22s but operational aircraft were parked on the North side. It is all well and good trying to analyse Andy's views on RIAT 2014 however Andy's first real test in the eyes of the enthusiast will be RIAT 2015, his first show at the helm. It was only prudent for us to grill both Andy and Tom on what their plans were for 2015, what was new, what was being changed, what would get us excited. This year one of the chosen themes is “Securing the Skies”, we were eager to find out how this was going to tie in with the show and how it was chosen. Perhaps such an over-arching theme could water down the appeal to visitors and participating air forces? "We will come up with the themes and also talk with the RAF to coordinate with them. I have a pretty good view of how the themes will play out going forward. 2016 for example is the 75th anniversary of the air cadets so I would imagine Friday being a focus on them. Going as far ahead as 2018 being the centenary of the RAF, I will tell you now that is the theme! We have a reasonable view on what these themes will be and are already building a story around them. "Past, present and future. Past this year will be the Battle of Britain 75th but we don't want to dwell on the past, you just met Ben [Ben Dunnell was also visiting DBH that day] and we have been talking about the commentary and how that will be delivered throughout the show. We don't want it all to be about the Battle of Britain it is also about ‘securing the skies' today and in the future. So do you think the theme waters down the show? It certainly is good news that RIAT are recognising the Blenheim as part of the Battle of Britain flypasts but surely another target must be the airworthy Bf109E that is now in the country? Of course the key question that many would ask is what will be the star of the show in 2015? As we are early on in the year for many air arms to confirm their participation we thought it unfair to ask this, but it was appropriate to ask what Andy saw as the “must get” aircraft of 2015. 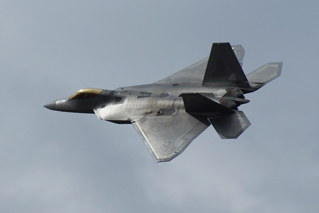 Whilst on the topic of aircraft participation, we were eager to find out if the USAF/DoD had made any commitments to 2015 over and above their welcome return in 2014. We are happy to report that the news is positive however, nothing is set in stone and don't take anything for granted. "It's a knock on from sequestration, the last time we saw good participation from the US Air Force was 2012, 2013 suffered badly and last year it was very close to the wire to get the green light for what we got on the ground here, and that was a struggle. "The request for support from the US military is a long and involved process which is in progress. We are now at the stage where this event is awaiting the result of the process where the approved events for US DoD aviation support are ratified. We have heard nothing but positive vibes but nothing concrete, we hope to hear in another month whether we will get an increase in support over last year. Once again in 2015 we will see the show expand into the Friday with a special celebration event for the 75th Anniversary of the Battle of Britain. In 2014 we had concerns regarding the organisation on the Friday. Many aspects were out of the organiser's hands however the issues at Green Gate were a concern. It is therefore gratifying to see that the format is being changed for 2015, including an earlier opening time of 0730 on the Friday which will help alleviate the problems of 2014. "I need to tell you another change that effects that, we talked about what worked well but not what could be improved. One thing was the entry at Green entry point where we opened the car parks at 0600 and the showground didn't open until 1000, it was then quite difficult to get into the showground. We have made that a lot easier this year. It is important at Green as the showground is still being built at this end, this year we are opening more of the showground and if you enter by Green instead of opening at 1000 we will be opening at 0730, where you will be bussed down to the showground from Green Gate. "As a result of the showground being open from 0730, last year the flying started at 1200 which would be a long wait, the display has been bought forward this year and will be from 1100 till 1500. This allows the Pit Day to be open in the morning first thing and then probably by 1600 we'll re-open the Pit. Concerns about new aspects of the 2015 show have already begun to appear on our forums, especially around the advent of “car park passes” and, thanks to the relocation of the Disabled Enclosure together with the creation of the First Class Lounge, the apparent removal of public access to the Blue Zone crowd line without paying extra. We put these concerns to Andy and Tom, there responses certainly put us at ease, and we hope they do for you too. So, why have car parking passes been introduced this year? They have already caused a great deal of confusion and concern. "The reason why we have asked people if they are going to bring a car is to plan our traffic. We will know how many cars are likely to heading from which direction so we can plan accordingly. It is concerning that the Showground Map published on the website appears to show that in 2015 a premium payment will be needed to access the crowd line in the prime Blue Zone areas, why has this decision been taken? At the end of the interview, Andy and Tom arranged for the Ground Team to show us the site plan for 2015, we are very pleased to confirm that there will be well over 100 yards of open crowd line in the Blue Zone to the West of the Disabled enclosure. We do hope that the published showground map is altered to better show the space available for those that don't read this article. That said, yet another enclosure has appeared on the crowd line, the First Class Lounge, why the need for such an expensive area of grass? When all is said and done, the enthusiast will continue to attend. 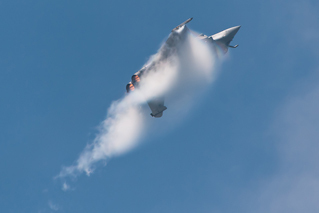 It is the general public that need to be attracted to the show, so what does Andy think are the must see attractions/experiences a first timer should see and at RIAT 2015? In previous years, UKAR has been critical of the media announcements in the run up to the show, this year we have noticed in some social media posts that images have been used that, to the trained eye, have been taken outside the fence. We put it to Andy and Tom whether this was potentially encouraging enthusiasts to visit Rhymes and Totterdown rather than buy tickets. Of course there is more to RIAT and the RAFCTE than 2015, as Tim touched on last year, 2018 has already been declared as the official 100th Anniversary Airshow of the RAF. We therefore now turn to the future. What can we expect when we attend RIAT 2XXX once Andy has implemented any changes he wants to make? On that note, what changes would he like to make? As Andy is the man at the top, he will obviously have an ambition for RIAT under his leadership. The airshow remains at the core of their business but changes will be coming, that is clear from his personal goals and vision for the next five years. "I want this to be a successful enduring airshow, talking RIAT here; we have a goal in 2018 of a full three day show which we are building up towards. We need to work with the RAF and other partners to actively look at what this will be like. We do more than just RIAT and that is all done to ultimately support a charity. The more we are successful, the more we are doing good deeds. 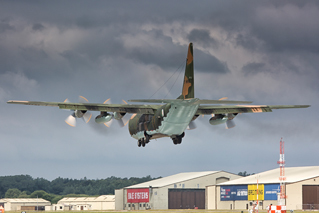 Over recent years, RIAT's position as the world's greatest military airshow has been challenged by the likes of Kecskemet and Payerne, does Andy perceive these as a threat, what does he intend to do to defend RIAT's position? In that regard, we at UKAR consider that the appearance of rarely seen foreign air arms at RIAT are a major part of the appeal that makes the show unique, we were glad to see that Andy shares that view. The RAFCTE is obviously much more than RIAT and it is interesting to see that Andy views the skills his team possess as the key to expanding revenue streams by assisting other shows in the future. A difficulty that has faced all military airshows over recent years has been the international trend of the shrinking defence budget. How does Andy intend to defeat what is arguably the biggest challenge facing the future of RIAT? Anyone that attends the Park and View East enclosure cannot have helped but miss the annual USAF BBQ with their glorious Hot Links, Wet Burgers and Mountain Dew. Many had blamed sequestration for this tradition ending but it was interesting to hear when we asked about its status that the lack of the BBQ has nothing to do with the USAF or RIAT. We can only assume it has more to do with the local Council and food standards blocking its return. There you have it, our visit to Douglas Bader House and our brief but intense meeting with Andy and Tom certainly gave us much to mull over. 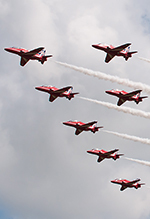 Obviously, for many the proof will be in the pudding and the jury will not close on whether Andy will continue Tim's RIAT tradition until they have attended a show under his leadership. At UKAR, we were certainly impressed by his personality, aviation knowledge and overall passion for aviation. Guided by the expert hand of Tom and the rest of the Douglas Bader team we are quietly confident RIAT will still be here in ten years' time let alone five; provided that they never forget that the rare participants are what make this show unique compared to the others out there. We are also hopeful that RIAT 2015 will be a great success; we certainly look forward to seeing the Battle of Britain Balbo lead by the Blenheim. All that is left to do is to thank both Andy and Tom for being willing to spend time with our Andy and Tim, we learnt a lot from the meeting and we wish them the best of luck for RIAT 2015. 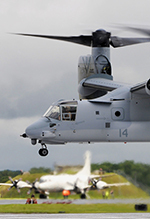 RIAT 2015 will be held on 17th to 19th July 2015; tickets are available from ww.airtattoo.com look out for our live photographic coverage of the Arrivals days and subsequent review.